ROLU/GUY DE COINTET MAP is a poster commissioned by the landscape design and conceptual art practice in St. Paul, Minnesota, to honor an important influence of theirs. Guy de Cointet, a Los Angeles-based French artist, is most known for his text-based works, sculptures, and performance. 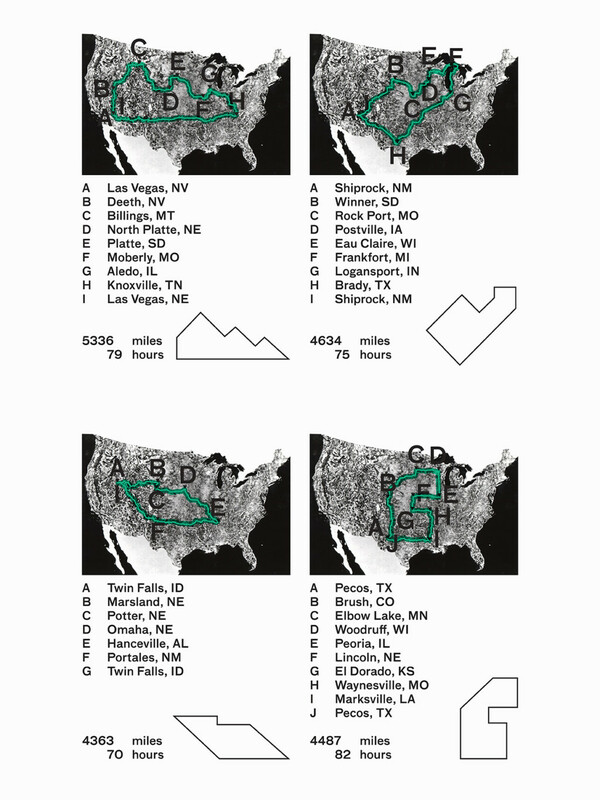 This particular series of maps overlays four specific sculptures by de Cointet over the continental United States, and approximates a route that would roughly draw out its shape.